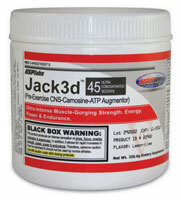 Jacked 3D and NO explode are two pre-workout drinks that I alternate between because of their effectiveness. So far I have yet to try anything better than these two. I alternate between the two so my body doesn’t build a tolerance to one or the other. Additional to my alternating I advise to cycle off of pre-workout drinks every month or so. You don’t want your body to become none functional with out supplemental aid. After working out I experience a bigger crash if I drink jacked 3d. No Explode is a little smoother and you retain your energy a little longer. 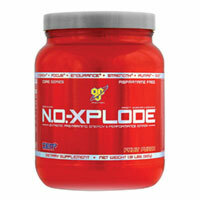 Get BSN NO-Xplode! Bodybuilding.com Muscle Builder of the Year AND Nitric Oxide Supplement of the Year -5 years in a row! Sometimes I can feel a bit of pressure in my head behind my eyes as if I was hanging upside down. It can’t be a good thing. If you start to feel things similar to this it would be smart to lower your servings or stop using it all together. This entry was posted in Bodybuilding, NO Xplode, Supplement Review, USPLabs Jack3d and tagged jacked 3d, no explode, pre-workout, supplement review by Russell Jensen. Bookmark the permalink.